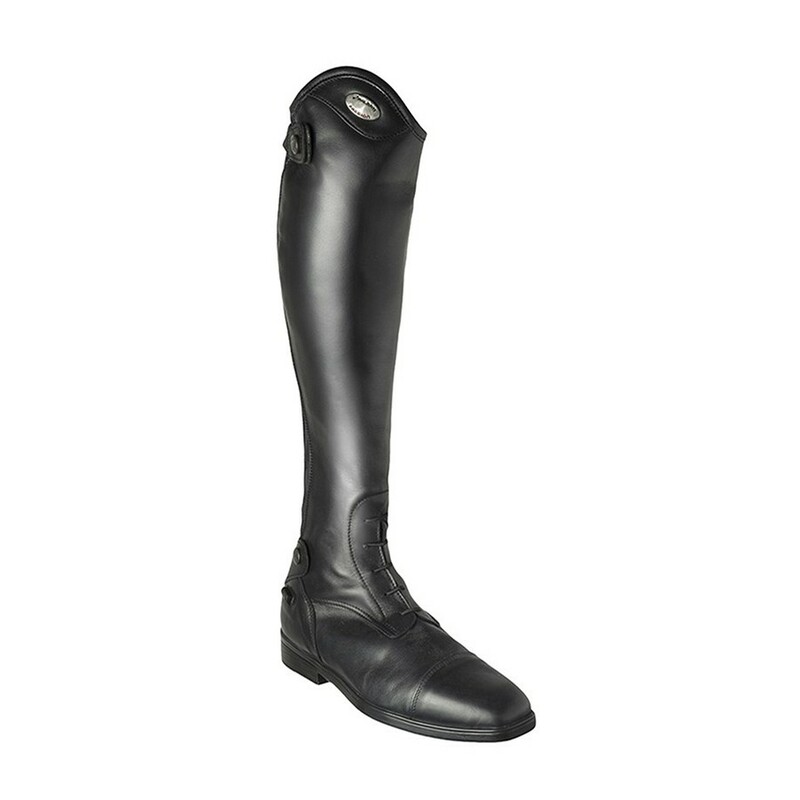 Parlanti Passion Half Chaps are the ultimate in performance and protection. 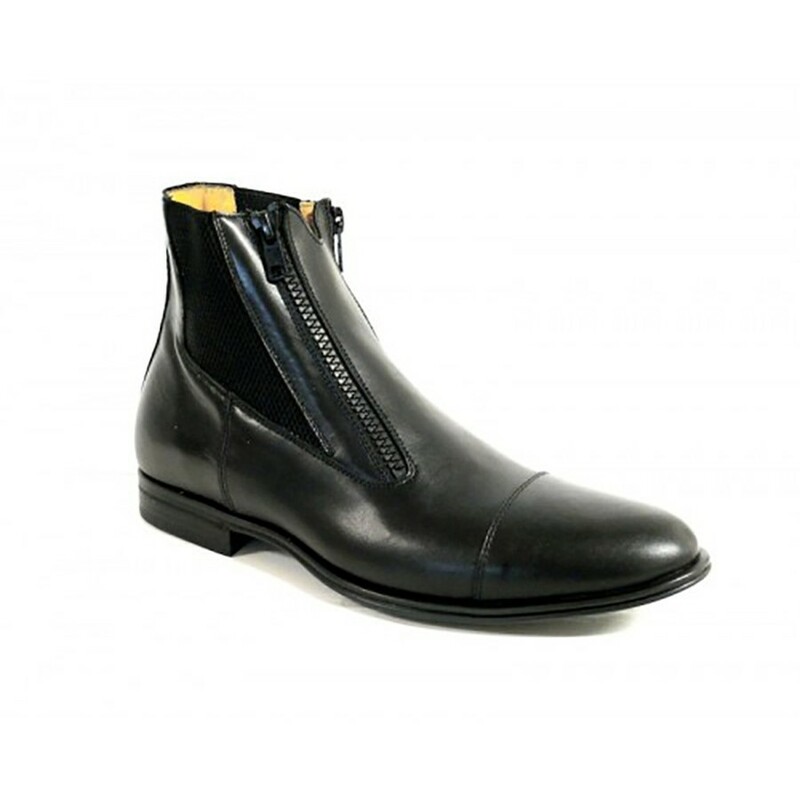 They’re available in genuine calfskin, in both black and dark brown color and comes with an elastic stretch panel in back for comfort and fitting. 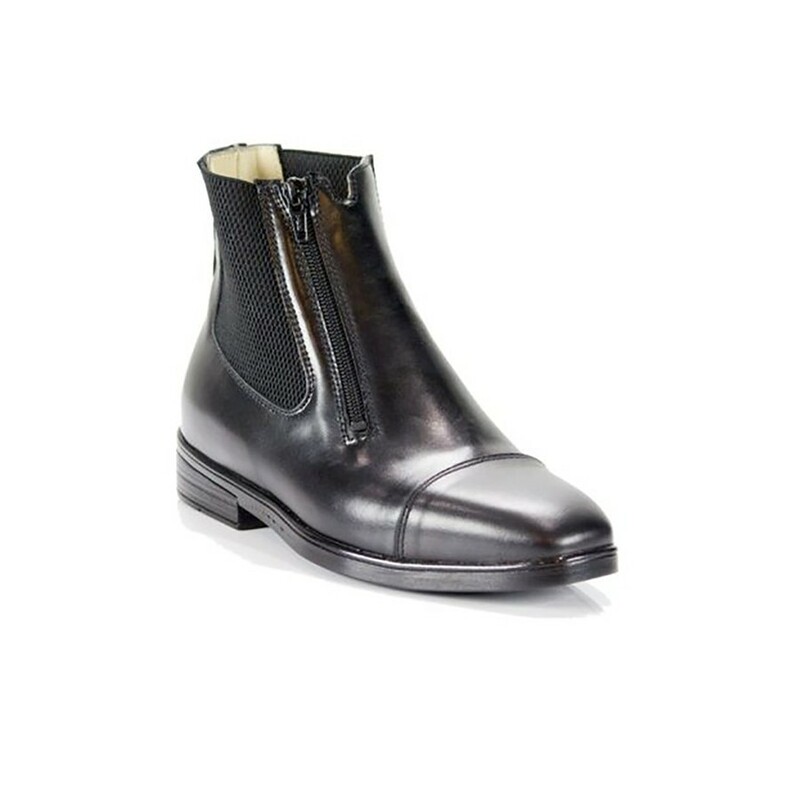 They will give you the feel of a custom fit chap. 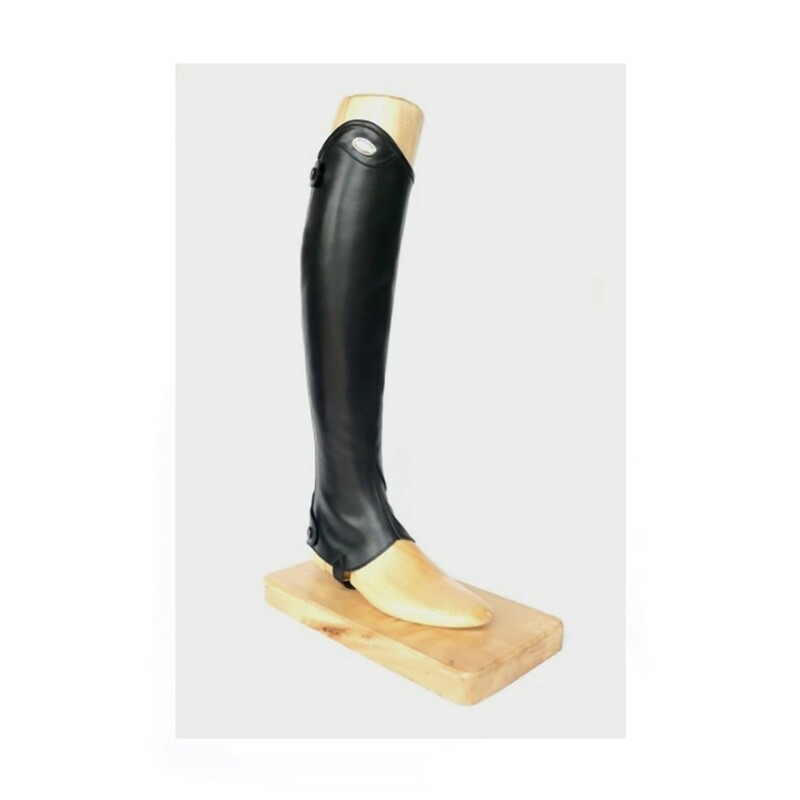 Available in different combinations of calf sizes and heights. 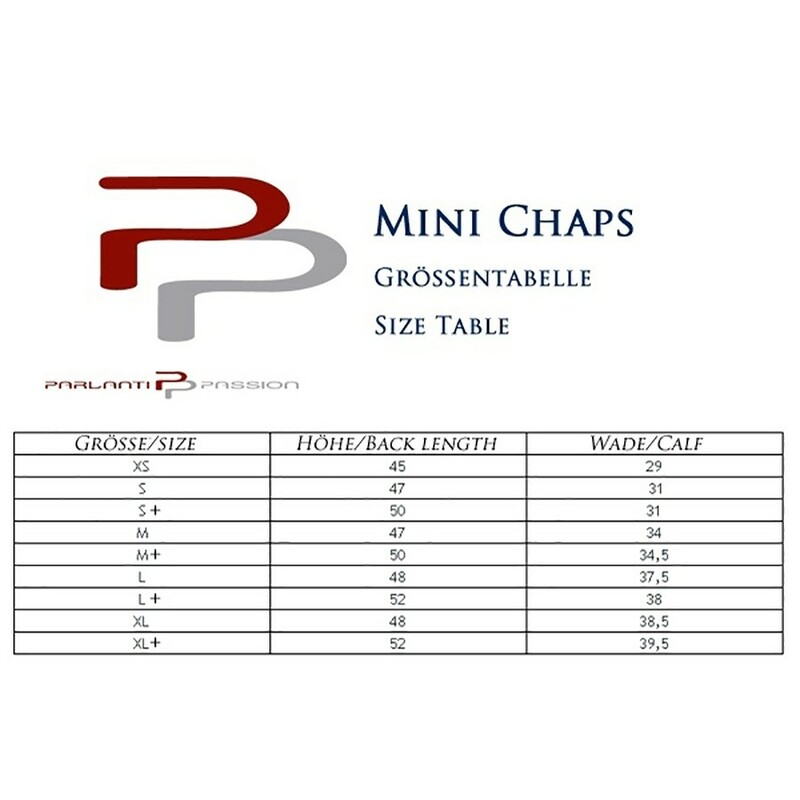 Please refer to sizing guidelines to assist you in selecting your size. If you need assistance, feel free to call us at 440-708-0674. Our experienced staff will guide you in making the appropriate choice. We will contact you if you order will be delayed for any reason.